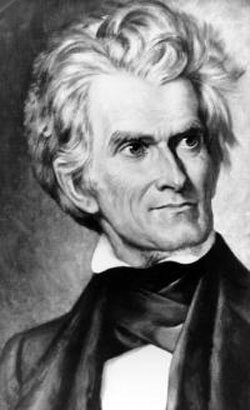 John Caldwell Calhoun; Y’ 1804; Vice President of the United States, 1825-1832; Secretary of State, 1844-1845; Secretary of War, 1817-1825; Senator from South Carolina, 1832-1843 and 1845-1850; Member House of Representatives representing 6th District of South Carolina, 1811-1817; Author, Disquisition on Government (1849), Discourse on the Constitution and Government of the United States (1851); defender of States’ Rights and proponent of the “Concurrent Majority” doctrine holding that minorities ought to have the right in extremis to block majority rule; and member of the all-time Great Triumvirate of the U.S. Senate. 1) Calhoun College stays Calhoun College. Yale President Salovey announced yesterday afternoon, the Oldest College Daily reported, that the residential college named for Yale’s greatest political thinker and statesman would retain its name, despite John C. Calhoun having held, in the first half of the 19th century, positions on Slavery and inherent Racial Inferiority generally regarded with abhorrence today. I suspect that, unreported, unacknowledged, and unsung, somewhere in the decision-making meeting rooms in Woodbridge Hall a dramatic last stand was taken by someone on behalf on history, tradition, and sanity, and that there must have been some terrible threat of a grand financial legacy being withheld were Calhoun’s name to be removed. Alumni, particularly those of Calhoun College, actually cared about their college’s name being changed. Nobody particularly cared about the Master title, so Master was obviously the perfect sacrifice to fling upon the PC bonfire to appease the mob. Yalies tend to be pedantic and good at research, so one does wonder why Peter Salovey and his powers-that-be confreres did not trouble themselves to consider “Warden,” “Rector,” or even “President” (as at Magdalen College, Oxford), but instead followed sheepishly along in the lame footsteps of Harvard and Princeton in changing that title to “Head.” It rankles, I think, that the pathetic creature occupying the chair in which John Hersey once sat, set the contemptible policy which the entire set of residential college will be proceeding to follow. 3. The new residential colleges will be named for Benjamin Franklin and Pauli Murray (whoever the hell she is). Benjamin Franklin College will recognize the recipient of a Yale honorary degree (1753 Hon. M.A.) whose immense accomplishments span the arts, the sciences, government, and service to society. The 41 published volumes of his papers, which contain the record of Benjamin Franklin’s life correspondence, are among the Yale University Library’s most important collections. The Franklin Papers represent the work of many Yale scholars and editors and, among the historical insights they offer, shed light on Franklin’s relationship with Yale University. He carried on a decades-long correspondence with Yale President Ezra Stiles on subjects ranging from scientific research to the growing collections of Yale’s library. 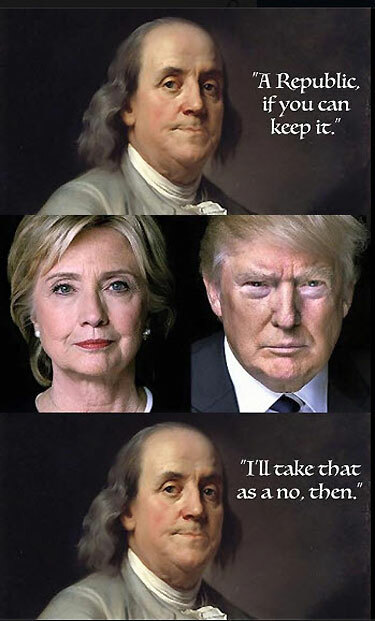 But most of us today are nowhere nearly as censorious of Franklin’s illegitimate son and illegitimate grandson or of Franklin’s (1747) The Speech of Polly Baker, defending a fictional woman for bearing illegitimate children. Franklin’s accomplishments in literature and scientific experiments and as a founder of the United States are so great that nobody could deny his worthiness as the namesake of a college. The only problem is that he really had no genuine substantive connection to Yale. [A]dopting his name for one of the new colleges, we honor as well the generosity of Charles B. Johnson ’54 B.A., who considers Franklin a personal role model. Mr. Johnson’s contribution to enable the construction of the new colleges is the single largest gift made to Yale. 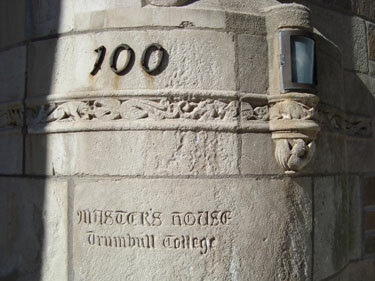 Pauli Murray College and Benjamin Franklin College, which will open Yale’s doors to thousands of additional future students, would not have been possible without his philanthropic vision. The final stage of Murray’s career continued a life marked by confronting challenges and breaking down barriers. At age 63, inspired by her connections with other women in the Episcopal Church, she left Brandeis and enrolled at the General Theological Seminary. She became the first African-American woman ordained as an Episcopal priest..
And you’ve got to hand it to Salovey, the Yale Administration, and the Corporation. When they set out to truckle and to pander to contemporary whiny left-wing identity groups, they do it good and proper. Obviously, in reality, there are no females, there are no African-Americans associated with Yale so eminent or of such accomplishment as to be even close to being genuinely worthy of being the namesake of a Yale College. Hilariously, as well, nobody outside the organized left has ever actually heard of Pauli Murray but, upon looking her up, one finds that, if you are going to pander, she is the cat’s pajamas. 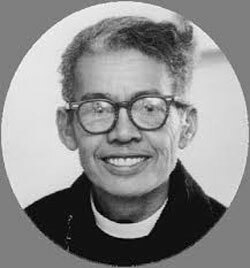 Pauli Murray was merely a minor left-wing public nuisance and lived and died in obscurity, but she combines in one small dusky package absolutely everything: she was female, African-American, queer, an Episcopalian priestess, and a transgender wannabee. What a deal! Let’s hope Yale, in future, treats Murray College as its own equivalent of California, and sends all of its commies, fruits, and nuts to go live there at the remote extremity of the campus. Christopher Taylor has pessimistic things to say about America’s politics. He thinks a nation with a culture like ours can only have the kind of national leadership we have. Who wins what office makes no difference. Until the nation undergoes a tremendous shift at the basic, cultural level, elections will only pour more of the same on this country and every new election makes matters worse. And that cultural shift takes time, not elections. We’re at a point in this nation where the Supreme Court has been stuffed with a near-majority of members for whom the constitution is simply a set of words they can use to lever in anything the latest progressive positions hold. When a court has even a few judges who are utterly disinterested in constitution, wisdom, reason, justice, or sanity, that court ceases to have any validity whatseover. It has been corrupted to the point of being useless. Arguments we have to get the right sort of politician in this position or that for The Judges ignores the utter destruction of the constitution and nation that has already been wrought by a supposed judicially sensible majority. After the utter abortion that was the Kelo vs New London decision, the court followed up with several horrendously decided trash cases which demonstrated that they cannot be trusted with power no matter who they are or what they claim about law. There’s a phrase some use to describe this attitude: “let it burn.” Some misunderstand this as a call to destroy the nation. But its not. Its a call to step back and give up the fight because its going down either way. For years now I’ve been telling everyone to focus locally, on family, neighbors, local politics. Your home, your area, your town. Because the federal government is a write-off. There is no fixing it through any elections. That’s what Let It Burn means; not “revolution!! 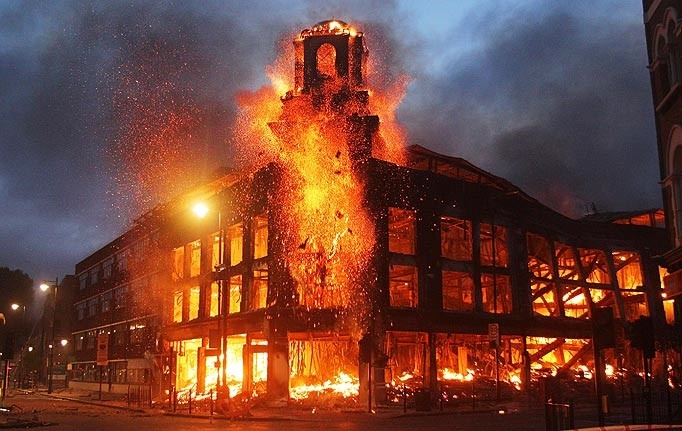 !” but rather “its already burning and the firefighters know it won’t be saved.” Let it Burn recognizes that its already on fire. We’re past the point of preventing it. We cannot save this Republic, until we get past the hard times ahead and begin the slow, painful process of rebuilding. I’m sorry. I don’t like it either. but that doesn’t make it any less true. And recognizing this doesn’t make me a crazy old man. Just a sad one. Sorry, John. We didn’t. We gave it a pretty good run for a while, but its over. Hat tip to Bird Dog and Vanderleun. The local historical society atBerwick, Pennsylvania, a borough of 10,000 people in largely rural Columbia County, was inventorying its collection of Early America almanacs and discovered it possessed a rare 1733 first annual edition of Benjamin Franklin‘s Poor Richard’s Almanack. The almanac, bound with several others, proved authentic, and was sold yesterday at Sotheby’s, bringing $556,500, the second largest price ever paid at auction for an American book. The record holder remains George Washington’s copy of the Federalist Papers also sold by Sotheby’s in 1990 for $1.4 million. Whatever will the historical society do with so much money? I know myself of a county courthouse in Pennsylvania where original documents signed by Benjamin Franklin in his capacity as secretary of the Commonwealth of Pennsylvania are still sitting unrecognized in the county clerk’s office. I could have pointed out their value, but I kind of like the idea of their being in the same place they’ve always been. It was he who provided the classic model of the American self-made man (and autodidact), who first achieves personal independence by success in business, using it as his stepping-stone to worthier achievement in the realms of learning or of politics. And it was Franklin who first synthetized the characteristically American political blend of conservative skepticism with broadminded liberality, tempered by the businessman’s sense of practicality. Franklin became rich as printer, publisher, and author, then with the leisure provided by the independence he had earned, turned his attention to experimental science. 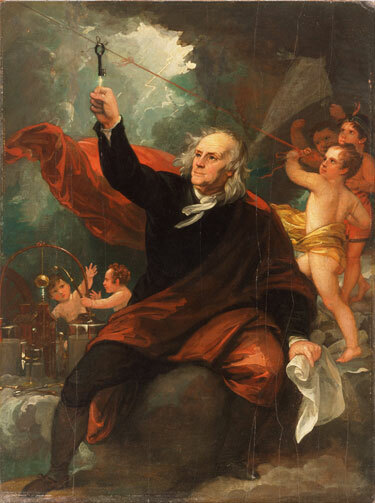 In the sciences, Franklin’s achievements were of international importance (he contributed greatly to the understanding of electricity), but probably even more important were the practical inventions which resulted from his experiments, or simply from his restless inclination toward problem-solving. We owe to Franklin: bifocal eyeglasses, the odometer, lightning rods, and the Franklin stove (among others), the last of which alone completely revolutionized the economy of domestic life. In the struggle for American independence, Franklin, though the oldest, proved perhaps the most indispensable of the framers after Washington. He edited the draft of the Declaration of Independence, written by Thomas Jefferson. To Franklin’s scientific prestige, to his diplomatic abilities, and to his personal savoir faire and charm, we owe the French Alliance which made Revolutionary victory possible. Franklin’s carefully crafted mature persona, the grandfatherly amiability artfully cloaking the deep and crafty intelligence, still proves a serviceable model for worldly and successful men to use to disarm potential opponents today. And it is Franklin’s own characteristic combination of superb practical competence allied to modesty and deprecatory humor, which defined our national version of sprezzatura. Christopher Hitchens reflects on Franklin in today’s Wall Street Journal. the Archives of Never Yet Melted in the 'Benjamin Franklin' Category.